Over 1,000 ticks can live on an acre of land. Have you ever felt a little tickle on your arm and without looking to see what it was, instinctively reach to wipe it away? Your eyes follow your hand by a split second — and then it registers — OMG! It’s a tick! A deer tick! Panic ensues. Your heart races. What do I do?! How did it get on me! Somebody, help me!!! ks of all kinds has ballooned in the United States. The number of ticks that carry Lyme disease has been on the rise in the Mid-Atlantic States, and has skyrocketed throughout the Northeast. Despite its teeny-tiny size, the deer tick, a.k.a. 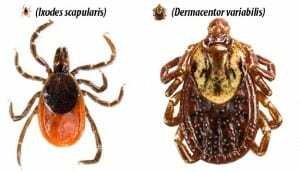 the black-legged tick, the bear tick, and Ixodes scapularic, has gained a reputation as a serious health problem in many areas of the nation. As a Lyme disease survivor, I’ve learned how to protect myself from these creepy crawlies, because unlike some other insect-borne infections, immunity is not earned; despite all your suffering, you can get it over and over again. Knowing these key facts about a deer tick is your first line of defense. Fact 1: Deer ticks are smaller than dog ticks. Learn how to identify a deer tick and differentiate it from a dog tick. Fact 2: Only adult females and nymphs can transmit infections through their bite. Male ticks attach, but they don’t feed or become engorged. Adult females have red and brown bodies and are larger than males. Nymphs can be actively feeding between early April and early August. Fact 3. Not all deer ticks are infected with the Lyme disease agent. 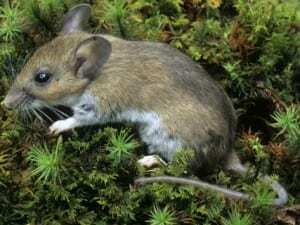 Only ticks that have fed on infected mammals (usually white-footed mice) are infected. About 50% of deer ticks are infected with Lyme disease. Fact 4. Deer ticks are slow eaters. Deer ticks live two to three years, and in that time usually enjoy three blood meals. In the spring and summer of its second year, a nymph will take its second meal. They insert their mouth parts into the skin much like a corkscrew, which ensures them a nice tight grasp. They often take up to five days to complete their meal. Fact 5. It takes 24-48 hours to transmit Lyme disease. This fact is key to reducing panic when finding an attached tick: An infected tick must be attached to its host for at least 24 hours, and up to 48 hours to transmit the disease. It’s also the reason why checking your body right away after every possible exposure to a tick-infested environment is vital. Fact 6. Deer ticks don’t jump, hop, swim or fly. Deer ticks crawl. They usually grab onto people or animals that brush up against plants near ground level, and then they crawl upwards to find a quiet place for their blood meal. Although many sources will state that ticks don’t land on you from an overhanging tree branch, I have several friends who insist this has happened to them. Fact 7. Ticks live in wooded, brushy areas that provide food and cover for mice, deer and other mammals. The ideal tick environment is humid. Your exposure will be greatest along trails in the woods and fringe areas between woods and the border, where they will wait patiently on the tips of vegetation for an unsuspecting host to walk by. 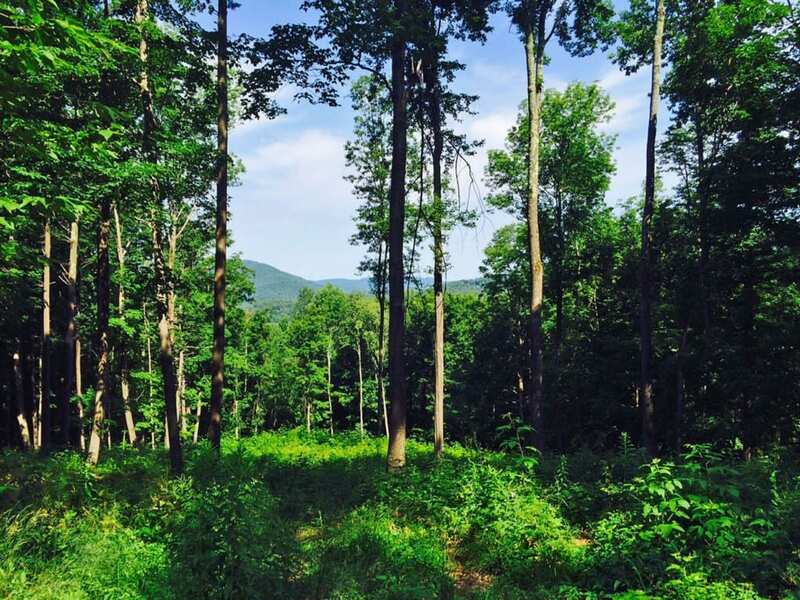 Life is too short to avoid the outdoors during spring, summer and fall. In Vermont, that would be over half the year! There’s no need to be brave; simply be smart and follow these common-sense guidelines and tips. Create a physical barrier between you and ticks. Wear long pants, a long-sleeved shirt, socks, and a wide-brimmed hat. For additional protection, don ankle straps around your pant legs, the kind that bicyclists wear. Don’t like to wear long pants and sleeves in the summer? Wear repellent on exposed skin. 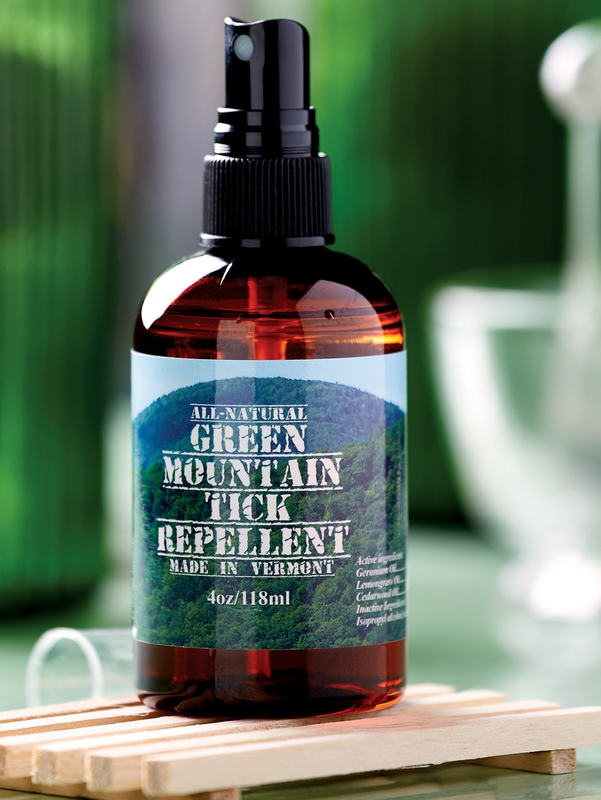 No matter how many layers of clothing you put on, you should still spray your ankles, boots, socks, hat, and neckline with our safe and effective DEET-FREE Green Mountain Tick Repellent. Made right here in Vermont, it was developed by a skin-care nurse. This all-natural blend of essential oils includes rose geranium, lemongrass and cedar wood is pleasant-smelling to humans, but not-at-all appealing to ticks. Check your body for ticks. If you have a creepy crawly feeling on your body, check it out ASAP. Can’t see the area? Bite back your modesty, accept that we are all human, and calmly ask someone to look for you. Most likely, they will be happy to oblige. Even if you didn’t feel a tick on your skin, check your body thoroughly every night before going to bed. Ticks are known for being sly, smooth operators that quickly find their way not into your heart, but equally private places. If you spot a deer tick on you, don’t panic. 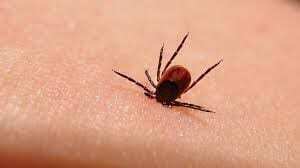 Although about 50% of deer ticks are infected with Lyme disease, since the deer tick must feed for over 36 hours before transmission of the spirochete, the risk of acquiring Lyme disease from an observed tick bite is less than 2 percent, even in an area where the disease is common. Use fine-point tweezers to get a hold of the tick as close to the skin surface as possible. Pull backwards gently but firmly, using an even, steady pressure. Do your best not to jerk or twist. 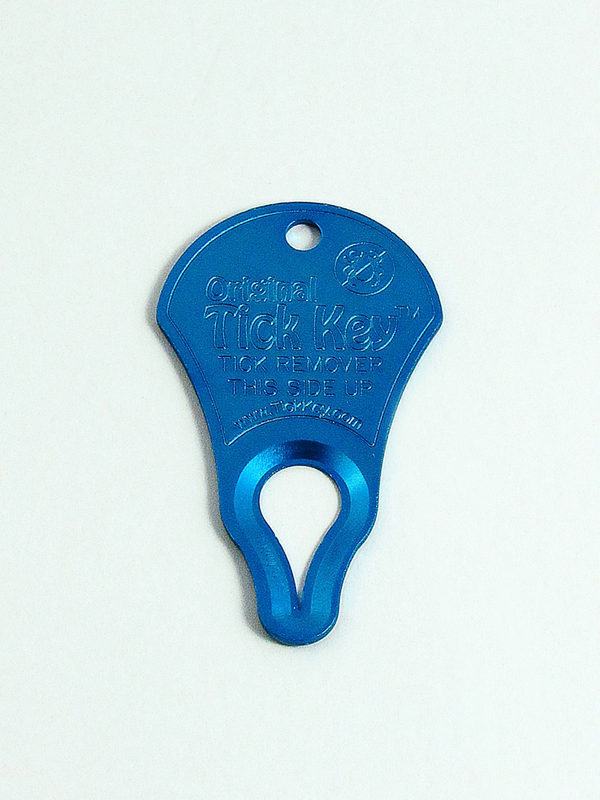 Don’t squeeze, crush, or puncture the tick’s body; the fluids inside may contain infection-causing organisms. After removing the tick, wash the skin and your hands thoroughly with soap and water. If any mouth parts of the tick remain in the skin, leave them alone; they will be expelled on their own. (It make take weeks!) Trying to remove these parts will only cause unnecessary pain and skin trauma. Considering how small a deer tick can be, why not take a few extra minutes and ensure that during your outdoor adventure, you have not taken aboard any unwanted cargo? You’ll feel refreshed and know that you have washed away any potential stragglers. In a typical house environment, unfed deer ticks aren’t likely to survive 24 hours. Because they like high humidity, ticks on moist clothing in a hamper can survive 2-3 days. Ticks that have taken a blood meal may survive a bit longer. If you know you’ve been in a tick infested area, before throwing your clothing in the hamper or washing machine, toss them in the dryer on high heat for 10 minutes. That will kill the little devils! Worried about an insect bite? Talk with your doctor. It’s always a good idea to keep your health care provider informed of any changes in how you are feeling, and of any questions or concerns you have about your well-being. In a perfect world, all tick habitats would be posted! Ticks are a fact of life in most of the USA. Don’t let them keep you from enjoying the great outdoors. Do what we do in Vermont: Protect yourself and tell them to Bug off! Posted in Homeopathic Remedies, Seasons. Tick Key Removes Whole Tick In One Motion.